Large Popcorn, No Butter: Elysium: What a Coincidence! What else to do on a Sunday but go to the movies? Just discovered that the theater near where I've just moved is craaayyyyy. I kind of felt like I was in a movie theater from the future. The concessions stand had a digital soda fountain and the seats are assigned. 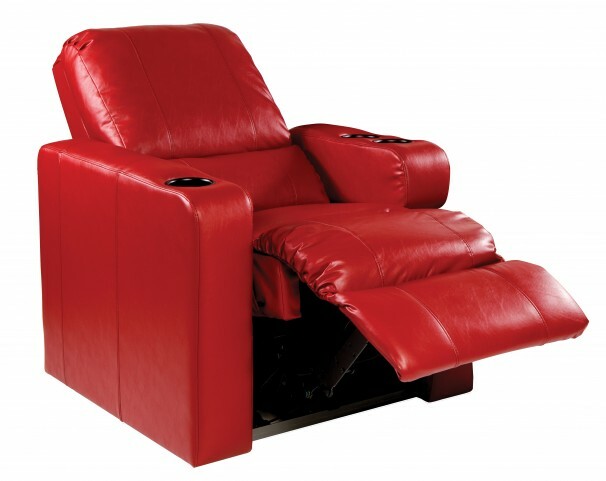 Not to mention the fact that the seats are CUSHIONY RED RECLINING THINGS. someone to think of this? 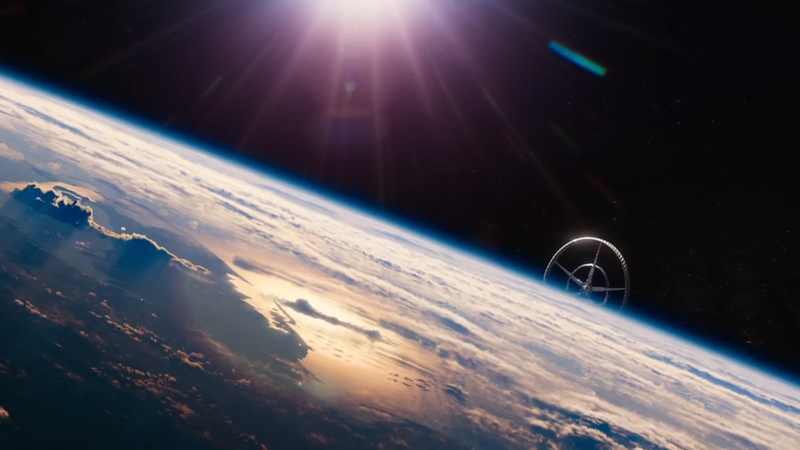 But after I got over the initial shock of this spaceship facility, I settled down to watch tonight's feature, Elysium. Elysium takes place in the future, 2154 to be precise, and at this point in time, Earth has been abandoned by the wealthy in favor of living in a space settlement called Elysium. While Earth is covered with disease, bad air, filth, and overpopulation, Elysium is immaculate and convenient, complete with robot servants and total healthcare machines that can cure anything from a paper cut to leukemia. We are shown the life of a guy that lives on Earth named Max. Raised by nuns, he grows up to become a bad boy stealing cars, but by the time we catch up with him he is reformed from all that and trying to make an honest living working at a factory that makes droids. After he gets stuck in a room where he's exposed to high levels of radiation one thing leads to another and he ends up hijacking the mind of an Elysian and being the one man that can change the futures of the people that live on both Earth and Elysium. So woah, right off the bat there's a LOT of stuff going on in this movie. It got off to a pretty good start; they show you that robot police keep the citizens of Earth in order cruelly and without humanity, that people rely on thieving to get by, and that there's little to no promise of upward mobility. Interesting commentary. But then they introduce plot point after plot point and things get a little...over-ambitious. Parallel to Max's story is the Elysian president's, focusing on her ruthless way of fighting refugees from gaining illegal access to Elysium, which is by blowing them up before they can land there. We also see a whole string of events involving illegally employed agents from Elysium sent to "take care of" Max and other refugees, Max's childhood friend and her daughter, and computer hackers. "Oh crap, I have radiation poisoning, get me to Elysium, please!" "Well that is certainly convenient because I happen to have this chip where I can hack into the minds of the wealthy! I'll send you to hijack the vehicle of an Elysian and maybe we can find something useful in their minds to use for our own benefit!" "Great! Let's get her installed!" "Glad we could accomplish that despite the rampant disease and obvious lack of hygiene in this establishment (not to mention your progressive death from radiation poisoning). You have survived the installation of mind-hardware and mechanical exoskeleton!" "Hooray! Let's hijack this gentleman!" "Quite! My goodness, his mind is full of hacker software that will overthrow the entire political system of Elysium!" "Again, sir, I say how convenient!" So easy we should've done it two hundred years ago! As the guy sitting next to me put it "Well, that's all very convenient isn't it?" It was just kind of like they worked a little too hard to find a happy ending. And each progressive event just felt a little too good to be true. Thematically it's a very interesting commentary on our world and the United States. Earth citizens are so desperate for healthcare that they pay a fortune for the chance to fly to Elysium and break into the homes of the wealthy to use their health machines. 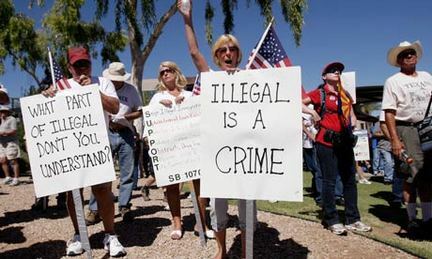 Also an interesting commentary on immigration as the Earth citizens we see all speak a mixture of Spanish and English while the Elysian elite speak a mixture of clipped English and French. Their philosophy of keeping people out (blowing them out of the sky) is met with little controversy and, at best, a slap on the wrist. What does that say about us as a country? Makes you think about the different methods people talk about to "keep people out of our country brawrawrarwaarr." Anyway, cinematically political agendas aside, it could have been really really cool. 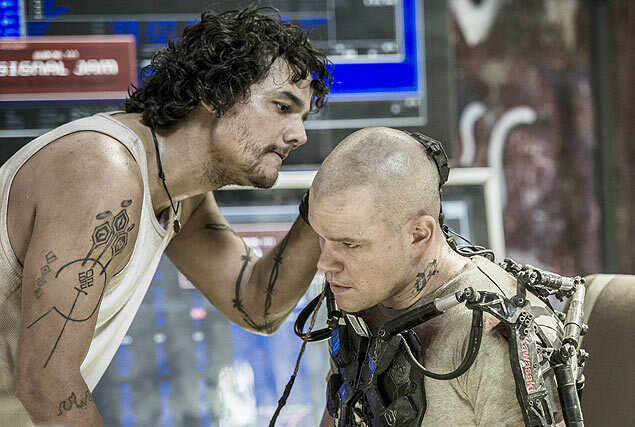 It made an excellent social commentary on the United States (Are we Elysium? Or are they making statements about big business in the US?) but too convoluted to be good. 5 outa 10. 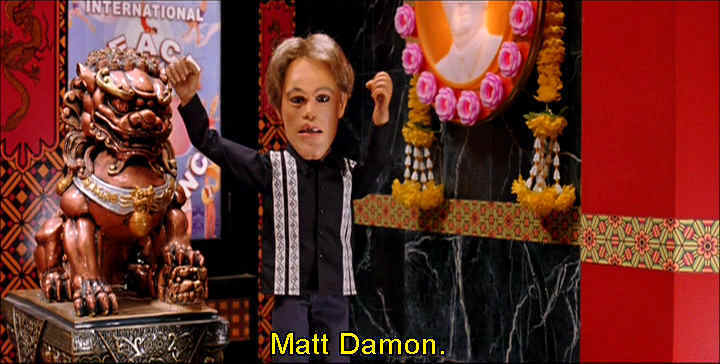 Sorry, Matt Damon. Also it bothers me that in the trailer they make it seem like his hydraulics are what make him special. That has nothing to do with how they're going to overthrow Elysium. Just sayin.